Today’s deal over at Amazon is another good one on a MicroSD card. Yesterday I posted on the SanDisk 128GB MicroSD card for $39. Today it gets one-upped by the Patriot 128GB card. 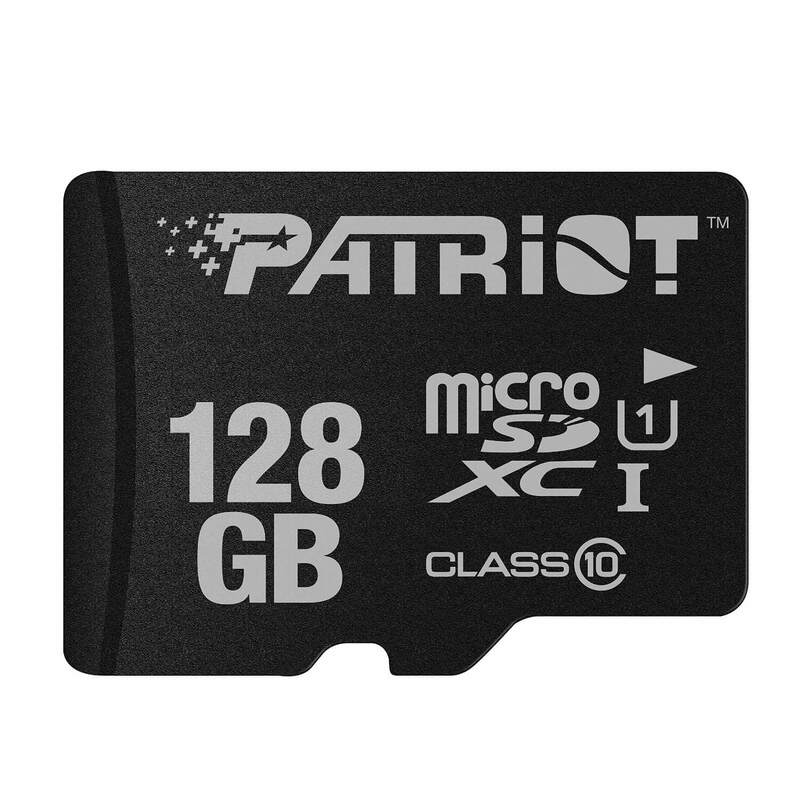 Right now on Amazon you can pick up the Patriot 128GB Class 10 MicroSD card for $29.99. This card has a transfer rate of 70mb/sec so full HD video recording on this card will be no problem at all. The card comes with a SD card adapter as well, something that everyone can use a spare one or two. for your device, you can pick up the same spec’d 64GB card for just $15.99. As always, make sure you check your phone or camera to make sure it can handle the 128GB card. The price is good until supplies run out at Amazon.